Nick Hardesty District Manager, KPA For over 10 years, Nick has been assisting dealers in determining their level of regulatory and safety compliance with KPA. Nick currently resides over KPA’s North Central District, as well as overseeing new engineer training and multiple national accounts. His emphasis has been on working with dealers to not only obtain, but also maintain their compliance programs. Download Transcript: How to Develop a Positive Safety Culture This is a transcript of the webinar How to Develop a Positive Safety Culture presented by Nick Hardesty. With workers compensation rates looking to continue their climb in the coming years, learn what can you do to positively combat these increases. A high number of incidents, near misses, and accidents commonly are a result of employees not following procedures, faulty equipment, and a general complacency towards company policies and safety guidelines. What can you do to tackle these issues head on and get your employees working together with management to foster a compliant and safe working environment? In this webinar we will discuss some simple steps that can be taken to implement a safety program, and what could ultimately derail your efforts. 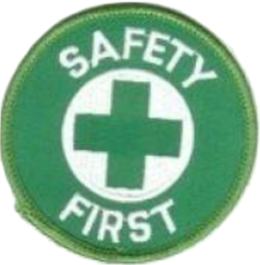 Safety incentive programs…effective or not? Next ›EHS Safety News America – 2012 In Review! Thank You To All Our Readers!